Autumn is representative of mature adulthood. Courage, vision, sacrifice and understanding. She is also maternal. Her element is earth. The close-ups show her face and the face in the tree. On the second one you get to see how her hand is melding with the tree. The tree's face is an aged version of my own. Autumn is inspired by my red-headed, pale, Irish wife, whose courage is my strength. 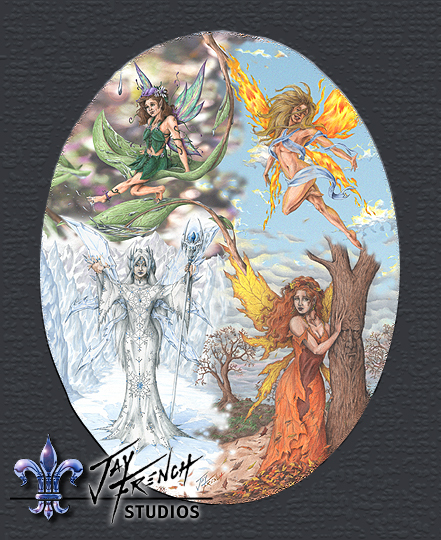 Click the image to view merchandise with "Season Faerie Collage"